The collection of slides from my presentations at various developer conferences, as well as links to video tutorials and live streams that I have recorded in the past. For material on my SlideShare, make sure to take a look at the Notes tab. It contains transcripts of the information I conveyed only verbally. This is my video tutorial series on creating plug-ins in Unreal Engine 4. 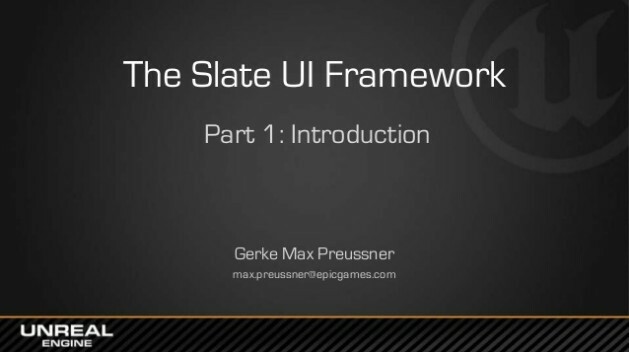 In nine parts, I am walking the viewer through the prerequisites, code project and plug-in creation, Engine structure & modules, custom asset types & editors, and the Slate UI framework. Overview on creating code projects and plug-ins, and introduction on how to add new asset types to UE4 and customize their look & feel via asset actions and custom asset editors. The source code is available in the TextAsset repository. Overview of modules, plug-ins and projects in UE4, and a deep dive into integrating third-party dependencies. The project files are available on GitHub repository. We explore the creation of the McLaren GDC 2016 demo and discuss how iPad app and PC communicate via Blueprints and Unreal Message Bus. My slides are on Slideshare, and the source code is on GitHub. Introductory slides for our live coding demonstration. Zak and I are creating a hover component in Blueprint and converting it to a C++ plug-in. The corresponding project files are available in the HoverPlugin GitHub repository. High-level overview of Unreal Engine 4, its game framework, the Slate user interface library, Unreal Motion Graphics, and Editor and Engine extensibility. Includes a number of bonus slides that weren’t presented. 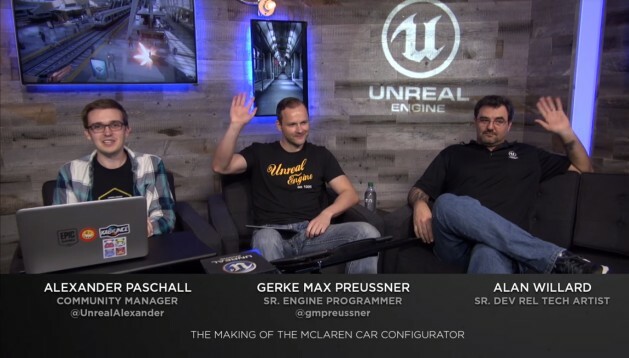 We show off the new FlipBook tool, discuss aspects of UE4 programming, and answer a number of related questions from the community. 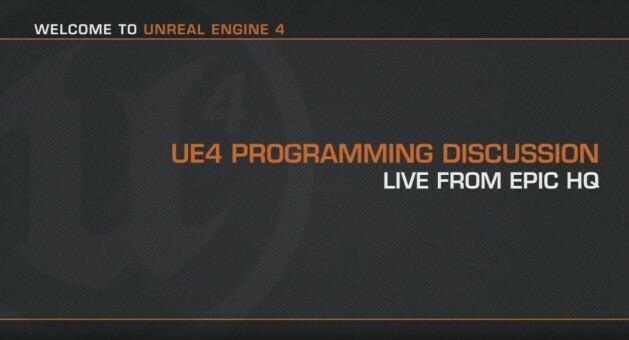 High-level overview of the Unreal Engine 4 game engine architecture. This presentation covers the configuration file hierarchy and format, modules and project files. 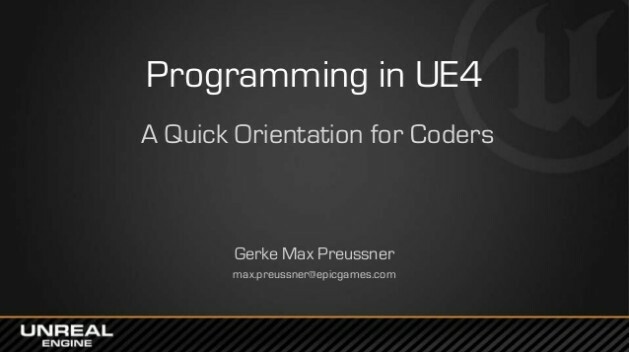 Overview of basic concepts and common blockers when programming for UE4. This presentation covers acronyms, basic programming concepts and best practices. 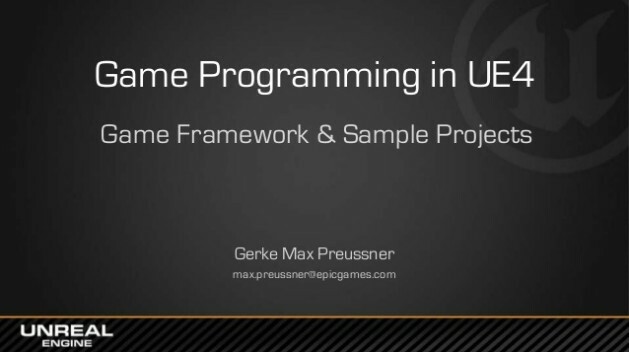 High-level overview of the game framework in Unreal Engine 4. This presentation introduces fundamental concepts, such as Actors and GameModes. 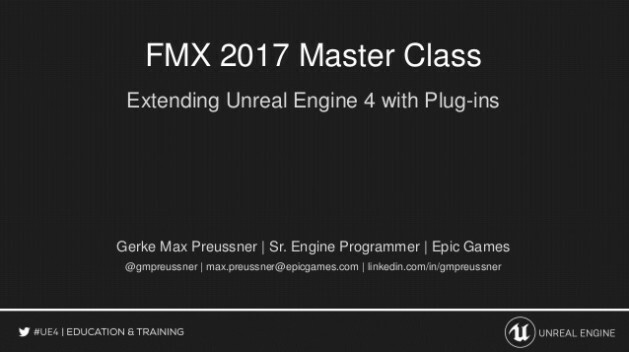 Overview of extensibility mechanisms and plug-ins in Unreal Engine 4. This presentation introduces Editor extensibility points, Blutilities, and plug-ins. Introduction to parallel programming support in UE4. This presentation covers thread synchronization primitives, thread-safe containers, and parallelization features. 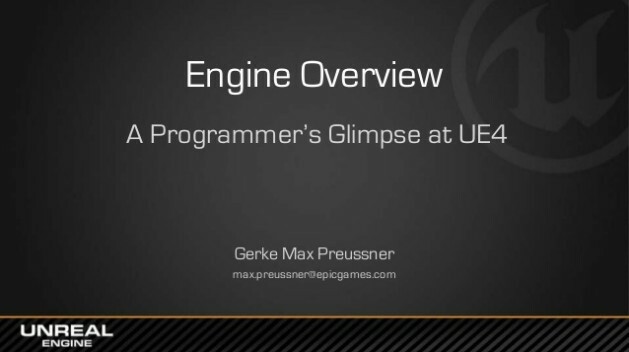 These are my slides from the Unreal Engine West Coast DevCon 2014 in San Francisco and Seattle. Overview of basic concepts and common blockers when programming for Unreal Engine 4. This presentation covers common acronyms, basic programming concepts and best practices. Overview of the Slate user interface framework and low-level UI capabilities in Unreal Engine 4. The presentation covers features, concepts and tools, as well as some C++ aspects. Overview of in-game UI features and the Unreal Motion Graphics (UMG) framework in Unreal Engine 4. 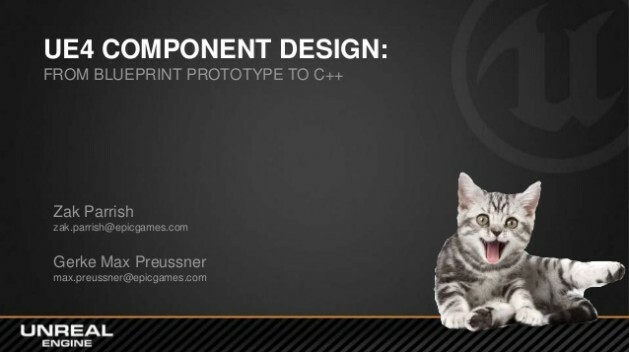 This presentation introduces various ways of generating user interfaces for games. Introduction to parallel programming support in Unreal Engine 4. This presentation introduces basis thread synchronization primitives, thread-safe containers, and parallelization features. This presentation gives an overview of the build tools, build automation, source code management and automated testing infrastructure used at Epic Games.